Prime Minister Nawaz Sharif's first 100 days in office have seen a significant increase in foreign capital inflows. Pakistan has $105.4 million foreign direct investment (FDI) in the first two month of the current fiscal year 2013/14 compared to $52.4 million received during the same month of the previous year, according to a Reuters' report. This is a continuation of the trend from the PPP government's last year in office which saw 76% year-over-year jump to reach nearly $1.5 billion foreign investment in fiscal year 2012-13. Foreign remittances from Pakistani diaspora also saw a 7% increase to reach $2.64 billion in July-Aug 2013. IN addition, Pakistan reached a deal with IMF for $6.6 billion loan and the first tranche of $500 million was disbursed last week. Circular debt payment of $5 billion by the government has induced power companies to buy more fuel and better utilize installed generating capacity in the last two months. As a result, the people are experiencing fewer hours of load shedding across the country. The fundamental issue of the gap between cost of generating electricity and the electricity revenue receipts still remains. However, the Nawaz Sharif government is pushing higher electricity rates and lower fuel cost options to reduce this gap. Meanwhile, the circular debt has piled up again to nearly $1 billion in just the last two months. If this debt continues to mount and the government fails to clear it, the load shedding is likely to significantly increase soon. Prime Minister Nawaz Sharif's government is trying to start talks with the Taliban militants in an effort to reduce the mounting death toll in terrorist attacks. An all-parties conference in Islamabad has endorsed peace talks with the Pakistani Taliban. The TTP leadership has welcomed the talks offer but it has continued to kill soldiers, policemen and civilians to dictate terms to Pakistan government. This was brought in sharp focus when the Taliban killed a top general in Upper Dir recently. The Taliban appear to be exploiting the perceived weakness being communicated by the government in response to continuing attacks. 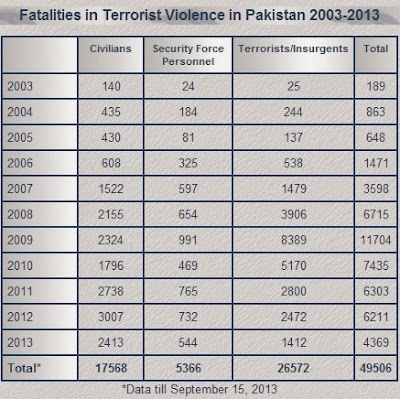 Recent data from South Asia Terrorism Portal indicates a decline in overall death rate from terrorism but it also shows that more security personnel are continuing to lose their lives in such attacks. Pakistan imports a lot more than it exports. Exports add up to about $25 billion while imports stand at about $45 billion. Similarly, Pakistani government spends a lot more than it takes in as revenue, leaving a budget gap of 6-7% of GDP. It is forced beg and borrow billions of dollars a year to fill this gap. Fundamental structural issues remain in terms of high current account deficits, widening gap between public revenue and spending, and large subsidies to public sector units including the power sector sapping public treasury. FBR is missing revenue target of Rs 2.5 trillion by Rs. 130 billion, according to an International Monetary Fund (IMF) assessment. Debt is accumulating again in the power sector. Economic growth is barely keeping up with population growth. Creation of new jobs lags growth of new entrants into the work force. National savings rate is only about 10% of GDP which reduces domestic investments needed for the future. Reviving economic growth is the biggest challenge facing the Sharif administration. It's going to be difficult to revive the economy without structural reforms to increase domestic and attract foreign investments, which in turn requires solving the basic issues of terrorism, energy shortages and tax collection. First 100 Days of Nawaz Sharif Government; Taliban’s Islam is false Islam; Sumbul case; Sheema Kermani from WBT TV on Vimeo. Nawaz Sharif was a right-hand batsman who made a duck in his only appearance for Railways against PIA in 1973-74. He then served two terms as Pakistan's prime minister, firstly between November 1990 and July 1993 and then from February 1997 to October 1999 when he was ousted by a coup led by General Pervez Musharraf. He was subsequently banned from holding public office for 21 years, and was exiled to Saudi Arabia. He returned in 2007 and won the 2013 general elections - in which his main opponent was the former Pakistan captain Imran Khan - and secured his third term as prime minister. The tax-to-GDP ratio has fallen to a record low; at less than nine per cent of GDP. It is one of the lowest among emerging nations. With such a low rate the government is unable to invest in creating the needed infrastructure and improving the state of human development. Most worrying is the sharp decline in both public and private investment. At about 11 per cent of GDP and with the incremental capital ratio of about four — the proportion of GDP that needs to be invested to produce a one percentage point increase in national output — Pakistan can’t have a GDP increase by more than 2.5 to three per cent. Also troubling is the continuous decline in the country’s share in international trade. In other words Pakistan faces a grim economic future unless the many structural problems the country faces are addressed with some seriousness by the makers of public policy. It is from this perspective that the performance of the Sharif government needs to be viewed. The manifesto issued by the PML-N for the electoral contest of May 2013, promised to set the economy on a growth trajectory that would match that of the more rapidly growing Asian economies. It set its sight on a rate of growth of six to seven per cent, to be reached by the year 2018, when its term in office will be over. To achieve that target the party promised to deal with both the short-term problems faced by the economy and also to address the long-enduring structural problems. Both were well known to the students of the Pakistani economy, including some of the people who were assigned senior positions in the new Sharif Administration. Energy shortages, of both electricity and natural gas, were taking a heavy toll on the economy. Continual activity by the forces of extremism had foreign capital leave the country. Persistent low rates of domestic savings had increased the country’s dependence on external capital. The government turned to the International Monetary Fund and quickly concluded an agreement that would provide $6.5 billion of capital along with another $5.5 billion to be received from other donors. The total amount of $12 billion would be disbursed over a three-year period, provided Islamabad adopted a whole host of issues that would help not only to pull the country out of the recession it was in but will also make it possible for the country to climb on a higher growth trajectory. For the long-term, the government requisitioned a development programme to cover all sectors of the economy and also, the relationship between the public and the private sector. This would be prepared by the Planning Commission in the form of what it called ‘Vision 2030’. Tax to GDP ratio of 9% is perfectly normal and healthy for a per capita income of around 1200 usd. Stop comparin with India's cartoonishly high tax to GDP ratio and the most expensive petrol in Asia and many other such anomolies. I noticed some extremely dangerous statistics. Pakistan was ahead of India in most telecom stats in 2008 but by 2012, India has drawn level or pulled ahead. Looks like politicos have badly mismanaged affairs in Pak. Time for Brigade 111 to march in? Pakistani Prime Minister Nawaz Sharif said he would proceed with a plan to build a gas pipeline from Iran, despite objections from the U.S., and said that he plans to use his speech at the United Nations on Friday to hit out against American drone strikes in his country. In an interview in New York with The Wall Street Journal, Mr. Sharif also spelled out, for the first time, the conditions that Pakistani Taliban would have to accept if his government proceeds with a peace deal with the militant group, demanding that they lay down arms and recognize Pakistan's constitution. At the same time, he voiced fears that continued U.S. drone attacks would wreck his policy to negotiate with the Pakistani Taliban, a group closely linked to al Qaeda. In the interview Wednesday, Mr. Sharif acknowledged frictions with the U.S. but said he believed that the issues could be overcome. "President Obama was very kind to call me up immediately after my election and express his desire to work with Pakistan. I also want to work with the United States of America," he said. The White House said Thursday that President Barack Obama and Mr. Sharif will meet Oct. 23 at the White House, part of what officials said was a broader effort to deepen ties. A White House statement said terrorism and the economy will be among the topics discussed, but didn't mention the controversial pipeline. "The visit will highlight the importance and resilience of the U.S.-Pakistan relationship and provide an opportunity for us to strengthen cooperation on issues of mutual concern, such as energy, trade and economic development, regional stability, and countering violent extremism," the White House said in a statement. An inadequate supply of gas, used to produce electricity, is one of the main reasons for the crippling shortage of power in Pakistan. Mr. Sharif said Pakistan had a contractual obligation to go ahead with the agreement, or face penalties from Iran of $3 million a day if it is not completed by the end of next year. He said that in Islamabad's legal opinion, the pipeline wouldn't trigger the sanctions. He said that Pakistan would proceed "unless you give us the gas, or the $3 million a day." However, Pakistan still needs to find $1.5 billion to build the pipeline, which is already completed on the Iranian side, according to Tehran. Islamabad is also hoping that a change in Washington's stance on Iran after the election of Mr. Rouhani could help Pakistan avoid the sanctions. "The more the drones, the more the terrorists get multiplied. You kill one man, his sons, his father, his brothers, they become terrorists. So this is something that is not helping at all," said Mr. Sharif. Washington believes the drones have been highly effective in killing senior al Qaeda commanders, Pakistani Taliban leaders and Afghan insurgents who use Pakistan's tribal areas, which border Afghanistan, as a sanctuary. In words not used in the offer of talks, Mr. Sharif, in the Journal interview, laid out the terms that would be available to the militants. 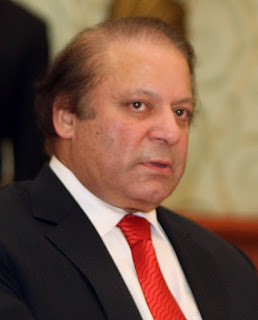 "They will have to renounce terrorism," said Mr. Sharif. "They [Pakistani Taliban] will have to abide by the constitution of Pakistan." "It's been often said by them that they don't recognize the constitution of the country," he said. "But the constitution has to be recognized. If we agree on addressing this terrorism, they will have to be disarmed, lay down their arms." The U.S. has quietly decided to release more than $1.6 billion in military and economic aid to Pakistan that was suspended when relations between the two countries disintegrated over the covert raid that killed Osama bin Laden and deadly U.S. airstrikes against Pakistani soldiers. Officials and congressional aides said ties have improved enough to allow the money to flow again. American and NATO supply routes to Afghanistan are open. Controversial U.S. drone strikes are down. The U.S. and Pakistan recently announced the restart of their "strategic dialogue" after a long pause. Pakistan's new prime minister, Nawaz Sharif, is traveling to Washington for talks this coming week with President Barack Obama. But in a summer dominated by foreign policy debates over the coup in Egypt and chemical weapons attacks in Syria, the U.S. hasn't promoted its revamped aid relationship with Pakistan. Neither has Pakistan. The silence reflects the lingering mutual suspicions between the two. Pakistan is returning to the international bond markets for the first time in six years, joining a host of other emerging market governments and companies who are selling debt while borrowing costs remain low. Pakistan's offering, expected to be up to $1 billion, comes as money flows back to Asia in search of higher yields amid new expectations that the U.S. Federal Reserve will now keep in place for the time being the aggressive stimulus measures that has pumped the world full of cash. Other countries such as Brazil, Kenya and Honduras are also raising cash to fund infrastructure projects and alleviate heavy debt burdens. Interest in emerging markets, including their sovereign debt, has been renewed in the past couple of months as the Fed has held off starting to wind down its bond-buying program, said Mr. Rajeev DeMello, head of Asia fixed income in Singapore at Schroders Investment Management, which manages $388 billion globally. Mr. DeMello said Schroders holds Pakistani bonds and expects the new debt to attract investors, given that it will offer a high yield and that the country's bonds are not highly correlated to those of other markets in the region. During the summer selloff in global emerging markets, prompted by expectations that the Fed would soon begin withdrawing its stimulus program, Pakistani bonds held up relatively well because most holders are large institutional investors with longer-term outlooks, Mr. DeMello said. With global interest rates still low and emerging market investors venturing back into Asia, the country is planning to issue debt due in five to 10 years. Bond yields throughout Asia have fallen over the last few weeks as investors have jumped back in. The yields on government bonds in Indonesia, Malaysia and Thailand have all fallen since early September. Pakistan's five-year yield is at 12.3%. "We have started the process [of the bond sale] and are waiting for the appointment of a lead adviser who will take the process forward," said Shafqat Jalil, a finance ministry spokesman. Still, Pakistan isn't without its problems. Though its economy is humming, its finances are weak, with revenues from taxes floundering and foreign-exchange reserves falling 34% since October last year. Pakistan is already heavily in debt, with its financing needs one of the highest in emerging markets, according to the International Monetary Fund. Rating firm Moody's MCO +1.08% downgraded the country's government bonds to junk in July last year. The Pakistani government is raising cash to plug its dwindling foreign-exchange reserves, which are symptomatic of the country's economic woes and trade imbalance. The government's financial history hasn't been without blemishes, either. It last defaulted on debt in 1999 as it struggled with a balance-of-payments crisis aggravated by international sanctions and a military coup. Pakistan last issued debt in 2007, with $750 million of 10-year bonds intended for general government spending and budget management. At the time, investors snapped up the bond with bids worth seven times the amount of debt on offer. After a decade of terrorist attacks, Pakistan is implementing a new legal framework to deal with its growing militant threat — what some are calling a local version of the USA Patriot Act. 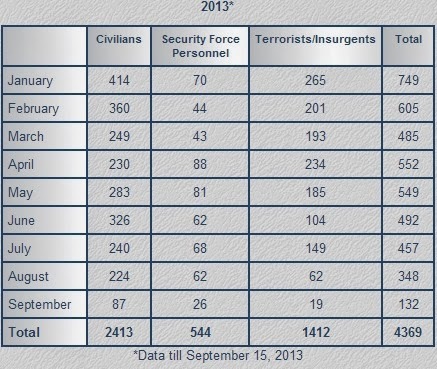 The government says the measure will improve an anti-terrorism effort plagued by inefficiency and abuses. At times, security forces have swept up thousands of suspected Islamist militants without charge, outraging human rights activists. When terrorism suspects do go before a judge, however, they are often freed, dismaying Western officials. “This law is war, declared war, against those who challenge the state,” said Khawaja Zaheer, the senior justice adviser to Prime Minister Nawaz Sharif. “This law is intended to do what should have been done in 2001 or 2002,” in the aftermath of the attacks on the World Trade Center and the Pentagon. But in a debate that mirrors the controversy over the USA Patriot Act, activists argue that the new measure will lead to widespread abuses. For years, Pakistan’s leaders have lurched between tough talk on terrorism and sympathetic outreach to some militant groups. This week Sharif condemned a U.S. drone strike that killed the leader of the Pakistani Taliban, Hakimullah Mehsud, days before planned talks between the group and the Pakistani government. Still, with Sharif facing pressure from Western governments to act, he has been quietly building a legal framework that could underpin a potential military offensive against the Taliban should talks fail. The new ordinance — handed down in mid-October and effective immediately pending a review by Parliament — may first be put to the test in the economic hub of Karachi, where an offensive against criminal gangs and militant groups has netted about 5,000 arrests in the past three months. The ordinance formally defines an enemy combatant, clarifies the powers of the army to intervene in internal security, establishes new federal courts, offers additional protections to judges, and codifies the use of extended detention. The measure draws on previous laws, but government officials say it is broader, legalizing detention tactics and other practices that military and intelligence officials have been suspected of using for years. By doing so, Sharif’s government hopes to avoid clashes with a increasingly independent court system. One 30-year-old man, who asked that he be identified only by his last name of Khan, a common Pakistani surname, said in an interview that he was picked up by officers in plainclothes while riding his motorbike in northwest Pakistan in June. He said he was blindfolded and detained for 25 days without being told why. “They did not torture me, just kept me alone,” he said. Dar expressed satisfaction over the positive development that Large-Scale Manufacturing (LSM) had increased by 12.8 percent during the month of September. This sector has experienced a growth of 8.4 percent during the first quarter of the financial year 2013-14, mainly because of the proactive approach of the government in liquidating the circular debt resulting in increased generation. Consequently growth in the large-scale industrial sector experienced an increase of 6.0 percent in June 2013 which gradually increased to 12.8 percent in September because of the addition of 1,700 megawatts (MW) in the national grid. The meeting was informed that foreign remittances have reached $5.2 billion in the first quarter of FY 2013-14, 6.3 percent more than the corresponding period last year and the foreign direct investment has increased by 85 percent in the first quarter of this financial year. “This speaks volumes about the seriousness of the PML-N government in the economic uplift of the country,” the finance minister said. Dar, expressing concern over the inflation and price hike in the country said, “It was mainly due to the increase in international fuel prices and expressed hope that there will be lesser adjustments in the future. The government is sensitive to the hardships of the people of this country and was on average providing a subsidy of around Rs 2.2 billion every month just to lessen the burden of the rise in fuel prices on the common man. The ECC also decided to appoint Asian Development Bank as the transaction adviser (TA) in the Turkmenistan-Afghanistan-Pakistan-India Gas Pipeline Project. Dar said that ‘involving a credible financial institution as the TA will ensure greater transparency in the deal’. The ECC also discussed in detail the rise in the prices of onions and tomatoes in the domestic markets. The ECC was told the shortage of both the vegetables is the main cause of the rise in prices which will soon be overcome when fresh stocks of onions and tomatoes reach the markets. Officials representing the Ministry of Food Security told the ECC that during the past three days a survey was conducted in the local markets and it was observed that the prices are already going down and by the end of this month they will improve further. However, Dar, advised the officials of the Ministry of Food Security to bring a better and much more practical proposal to check the rising prices on long-term basis. The ECC also directed the Ministry of Food Security to keep a watch over the prices and deferred the matter till the next meeting. We are cautiously optimistic on growth outlook for 2014. Investor confidence has improved due to a smooth political transition in the May 2013 general elections and a new IMF loan to support the balance of payment position. The KSE 100 index has rallied 50 percent in 2013, as inflows from Foreign Portfolio Investors (FPI) increased to $372 million in 2013, compared to $114 million in 2012. While growth is likely to remain subdued at 3.5 percent in FY14 (ending June 2014), a stronger pickup is expected in the second half of 2014 on improved energy supply and higher private sector investment spending. In our view, growth will rise to 4.5 percent in FY15 (starting July 2014). Growth is led by higher manufacturing sector output, which posted a strong 8.4 percent year-on-year growth in the second half of 2013, led by stronger growth in textile and leather exports. Improved energy supplies have led to higher output in the petroleum, fertiliser and food and beverages sectors. Private sector credit growth has also picked up, rising Rs82 billion during the second half of 2013, after declining by Rs20 billion in FY13. Credit growth will pick up in 2014 as government reins in large fiscal deficit under the IMF stabilisation program. Key risks to growth arise from a deteriorating security environment, energy crisis and sharp rise in inflation. Inflation has accelerated in the second half of 2013 on cut back in energy subsidies and a weaker Pakistan rupee. Inflation has increased to 9.1 percent year-on-year in October 2013, a sharp increase after declining to 5.1 percent in May. Sharp rupee depreciation of over 8.5 percent in the second half of 2013 on widening balance of payment deficits has also fuelled inflation. We forecast CPI inflation to average 10 percent in FY14. The biggest short-term challenge for policymakers is to avert a balance of payments crisis. Foreign exchange reserves have declined to dangerously low levels of $3.6 billion on November 13, which is equivalent to only one month of import cover. Large debt payments are looming on the horizon and a significant dollar liquidity injection is required to avert another balance of payment crisis. It will be hard for the economy to recover from another balance of payments crisis, similar to the 2008 crisis that led to the rupee depreciating 28 percent and forced the economy into a downward spiral of stagnant growth and record inflation. The government has outlined an ambitious reform agenda under the IMF programme. The target is to reduce the fiscal deficit to 5.8 percent of GDP in FY14 from 8.8 percent in FY13. Reform agenda includes cutting back on power subsidies, implementing new tax measures and privatising public sector enterprises (PSEs). The government cut energy subsidies by 30percent for households and 50 percent for commercial users in November. A new tax on gas consumption is planned for December. The government has also shortlisted 31 state enterprises for privatisation, which will include IPOs for banks and oil and gas companies in 2014. ..The benchmark index traded in the financial capital Karachi jumped 49.4% last year, ranking as one of the world's top performers. The market jumped another 2.8% Thursday, the first trading day of 2014. Flows from foreign investors into Pakistan reached $283 million from the beginning of May, the month of the election, to the end of 2013, according to the National Clearing Company of Pakistan. Global investors have also snapped up Pakistani government bonds with yields, which move inversely to prices, falling to 7.54% recently from as high as 11.69% in April on the 10-year bond. In a further sign of growing confidence, the government said last month it is also aiming to sell billions of rupee debt aimed at the Pakistani diaspora. A spokesman for the finance ministry said there is currently no specific time frame on the issuance of the bonds. The optimism stems from the government paying off $5 billion in debt that was weighing on the energy sector, freeing up funds at fuel importers and power producers and distributors. The country also agreed to a long-term bailout loan of at least $6.6 billion from the International Monetary Fund to avoid a potential balance of payments crisis. The government has in addition announced a far reaching privatization program which will include the national airline and electricity producers. "Pakistan as a market has very many companies that are trading below their fair value, but as it goes you get distracted by other more important markets," said Arnout van Rijn, chief investment officer at Robeco Asia Pacific in Hong Kong, who manages the $1.2 billion Robeco Asia-Pacific Equities fund. The market has been volatile too, the currency and stocks plummeted in 1998 following a test of nuclear weapons that attracted international sanctions when Mr. Sharif was last in power. The market has been up since the end of 2008 however, with shares soaring 329% to the end of 2013—despite the country being hit by a bloody Islamic insurgency, the economy nose-diving and Karachi being torn apart by gang violence during that period. Some investors say that those companies that survive both a weak economy and regular violence throughout the country are well run, resilient and especially appealing. Unilever Pakistan Foods Ltd., a unit of the consumer goods giant, shot up 116% last year. "When you have to deal in this kind of environment, I think you have to be extremely good as management to deal with it and survive," said Thomas Vester, fund manager at Lloyd George Management, who runs the firm's frontier market investments, and manages assets worth $656 million as of Oct. 31. And the relative political stability now is encouraging more investors to focus on the country whose population of around 180 million makes it the sixth most populous country in the world and a potential draw for those betting on rising incomes and more consumer spending. The market remains cheap even after the strong run-up earlier this year—currently trading at over nine times trailing 12 month earnings—a common valuation measure used by stock analysts. "Pakistan has a fairly diverse economy with a large and young population that needs to be fed and supplied basic infrastructure such as electricity," said Caglar Somek, global portfolio manager at Caravel Management in New York, which manages around $650 million. "If you find the companies that supply those basic needs, growing at double digit with high profitability, you can buy them at valuations that are on average 30% to 40% cheaper than their emerging market peers," said Mr. Somek. Pakistan's finance minister Ishaq Dar on Wednesday said he was optimistic about an economic recovery after the rupee breached the psychologically important 100 to the dollar mark. The currency had been losing its value against the greenback since Sharif's PML-N government came to power in June last year, sliding from 97 rupees to the dollar to a low of 108 in December. Since then it has mounted a recovery and as of Wednesday evening the rupee was trading at 97.90 to the dollar. Addressing a press conference Wednesday, Dar said: "The price of onions, tomatoes and dollars has been brought down to the level when Prime Minister Nawaz Sharif took oath." "It is a positive development for the economy and will boost investors' confidence into Pakistan," Dar said, adding the government was not resorting to injecting reserves from the state bank in order to stabilise the currency. "We did not use State Bank money to strengthen the rupee, but persuaded exporters to bring back their money to Pakistan and checked currency speculation, which resulted in the rising value of the rupee," he added. Dar said that revenue from tax collection, which has traditionally been problematic, had increased by 17.7 percent and the budget deficit was down to 3.1 percent as compared to 4.1 percent in the first eight months of last year. He added that overseas remittences by Pakistanis abroad stood at $9.23 billion, representing an 11 percent growth compared with last year. Dar said that exports have also shown a 6.2 percent growth while the rate of inflation was currently 8.6 percent. "We are on track to achieve six percent GDP growth rate in three years and Pakistan can emerge as a strong economy in the region," Dar said. The IMF approved a $6.7 billion bailout loan package for Pakistan in September last year to help the struggling nuclear-armed country achieve economic reforms, particularly in its troubled energy sector. The IMF said Pakistan's economy was picking up, with growth expected to reach about 3.1 percent in 2013/14 compared to its earlier estimate of 2.8 percent. Cash-strapped Pakistan, plagued by a bloody homegrown Taliban insurgency, is battling to get its shaky economy back on track and solve a chronic energy crisis that cripples its industry. The IMF made an initial payment of $540 million, and in November fund officials said during a monitoring visit that Pakistan was "broadly on track" with reforms. In December, Pakistan received $554 million as a second tranche of the loan. Saudi Arabia has given $1.5bn to Pakistan to bolster the country’s falling foreign currency reserves and help cement security ties between the two countries. The injection of Saudi money will lift Pakistan’s liquid foreign reserves about 18 per cent and offer a boost to a struggling economy. The Saudi support to Pakistan follows a mid-February visit by Salman bin Abdul Aziz al-Saud, Saudi crown prince, amid suggestions that Saudi Arabia is seeking an expansion of its security ties with Pakistan. In February a senior Pakistani intelligence official told the Financial Times that Saudi Arabia was seeking “a large number of [Pakistan] troops to support its campaign along the Yemeni border and for internal security”. The official confirmed that Pakistan’s agreement, during Prince Salman’s visit, to support the establishment of a “transitional governing body” in Syria was an important aspect of the deal. Islamabad had previously remained neutral and urged Syrian president Bashar al-Assad and his opponents to end the conflict peacefully. The Pakistani rupee has appreciated more than 4 per cent in the past three weeks with officials pointing to the Saudi assistance as one of the reasons for its strengthening. But some believe there are inherent risks for Pakistan, which is fighting an internal battle with Taliban militants, in getting closer to Riyadh. Historically, Pakistan has sought to maintain an even hand in public in its relations with predominantly Shia Muslim Iran and Sunni Muslim Saudi Arabia. During Prince Salman’s visit an Iranian minister threatened to send troops across the border in to Pakistan if Islamabad failed to secure the release of five Iranian border guards kidnapped in the country. Officials in Tehran alleged the guards were taken by hardline Sunni militants backed by Saudi Arabia. The Iranian guards have still not been released. The Saudi assistance may help to support Pakistan’s weak economy though it cannot fund a long-term recovery, economists said. Last year, the IMF agreed to a $6.7bn loan programme for Pakistan. However, western diplomats say, Pakistan is riddled with challenges, notably energy shortages and domestic insecurity, which continue to deter investors. “In a country with major energy shortages, a low number of taxpayers and corruption in many areas, the Saudi money will help but only temporarily,” said one western diplomat in Islamabad. Pakistan's trade deficit fell 4.89 percent in the July-February of the fiscal year 2013/14 to $12.542 billion compared with a deficit of $13.187 billion for the same period last year, according to the Pakistan Bureau of Statistics. Exports rose to $16.866 billion in (July-February) from $15.882 billion, and imports to $29.408 billion from $29.069 billion. Foreign direct investment (FDI) in Pakistan increased by 17.9 percent to $606.3 million during the first eight months of the current fiscal year, according to figures released by the State Bank of Pakistan (SBP) on Friday. FDI inflows stood at $514.2 million during the same period of last fiscal. FDI has been on the decline since 2008 in the wake of security concerns, weak law and order situation and energy and power outages in the country. And while the increase in the pace of FDI inflows is reasonable, the volumes the country received during July-February FY14 are far from satisfactory, economists say. Between July 2013 and February 2014, overseas investment by businesses declined by 11 percent to $1.262 billion against $1.418 billion in the corresponding period last year. Similarly, outflow was recorded at $656.2 million in the period under review against $904.4 million for the same period in the previous fiscal, revealed SBP data. The oil and gas exploration sector emerged as the biggest recipient of FDI with $296.2 million, followed by the financial sector with $102.8 million in the July-February period in FY14. Foreign investment in food, chemical and tobacco and cigarette sectors was recorded at $75.1 million, $71.6 million and $55.5 million, respectively. FDI stood at $79.2 million in February 2014 against outflow of $14 million in the corresponding month of the last year. The numbers on foreign investment showed that portfolio investment fell drastically from $169.9 million for the July-January period in FY13 to $54 million over the same period in the current fiscal – a drop of over 68.2 percent. Total foreign investment for the first seven months of the current fiscal was up 6.5 percent to $724.6 million against $680.4 million for the same period in the previous fiscal. “The level of FDI is still too low to have much of an impact on the country’s financial account,” said economist Muzzamil Aslam. However, foreign portfolio investment at the Karachi Stock Exchange is encouraging despite no listing of new companies at the local equity market, he added. “In the financial sector, the reason behind the rise in FDI is investments by foreign shareholders and sponsors in banks which were short of the minimum capital requirement fixed by the State Bank of Pakistan for the year 2013,” he said. The sponsors of the noncompliant banks issued right shares to raise capital. “Once the process of the privatisation gets momentum, foreign investors will come to the country, subsequently improving financial account prospects,” he added. Consumer Confidence Index, or CCI, is continuing its upward trend since Nawaz Sharif's election in Pakistan last year. The latest CCI is 141.82, up from 105.6 in March last year. Consumer Confidence Survey (CCS) is a stratified random telephone survey of more than 1600 households across Pakistan. The survey is being conducted by Institute of Business Administration (IBA), Karachi and State Bank of Pakistan (SBP) since January 2012 with the frequency of every two months. A transcript of the conference call available on the IMF’s official website shows Franks adding that inflation has been somewhat better than anticipated at around eight percent currently, although “we do expect some rebound in the inflation rate in the coming months”. He said the balance of payments situation for Pakistan has been quite difficult, and reserves were declining quite sharply during calendar year 2013. However, so far in 2014, there is a positive turn with reserves beginning to move upward. Franks said that during the review the fiscal deficit target was observed with a substantial margin. “Revenues are coming in roughly as we did forecast, although they are somewhat worse than was in the original Pakistan budget.” However, the IMF official said, expenditures have been very tightly controlled, leaving a substantial margin of over-performance on that target. Pakistan’s national energy grid will add more than a dozen power projects, including two dams and a coal mine, increasing electricity capacity in one of the worst shortages in the country’s history. Pakistan’s power sector can generate about 16,000 MW, short of requirements by about 5,000 MW and worsening as demand grows, projected to swell to 26,000 MW by 2020, according to Pakistan’s 2013 National Power Policy report. Capacity in some Pakistani industries, like the fertilizer industry, fell to nearly 50 percent in the last six months, forcing interruptions to gas supplies and closures. Importing expensive energy over the past few years, when the country had the capacity to produce it, has eroded Pakistan’s foreign exchange reserves. Work is underway in advanced stages at Gaddani Power Project and two power projects at Bin Qasim, Pakistan Minister for Planning and Development Ahsan Iqbal told Parliament in Islamabad on Wednesday, Pakistan Today reported. He also said work has begun on Thar Coal Project, which includes a mining and three power projects that will begin producing electricity within three years. China has agreed to ten power projects at Thar, Iqbal added. Chinese banks offered to finance up to $900 million of the $1.2 billion for the Thar coal in December, asking the Pakistani government for a loan guarantee. London-based Oracle Coalfields, the owner and developer of the coal plant project, expects to finalize detailed agreements with two Chinese partners, CAMCE and SEPCO, by the end of the year. Two hydroelectric projects, the Diamer-Bhasha and Dasu dams, will also help lift Pakistan from its energy shortage and usher in economic progress, analyst Nasir Jamal told Radio Pakistan Thursday. India (score 25.6) ranks at 19, higher than Pakistan (score 21.9)at 28 on world misery index rankings compiled by Washington's Cato Inst. According to a analysis published by the Cato Institute, Venezuela holds the disreputable top spot as the most miserable nation in the world. The Asian Development Bank (ADB) has approved $400 million loan to help Pakistan carry out reforms for overcoming power shortages. An agreement in this regard was signed by Secretary Economic Affairs Division Nargis Sethi and ADB's Country Director for Pakistan Werner E. Liepach here on Monday. Finance Minister Ishaq Dar and ADB's Governor witnessed the signing ceremony. “The ADB has approved a soft and concessionary loan for Pakistan, which has the best terms and conditions with interest rate of even less than 2 per cent annually,” said Ishaq Dar. He said the ADB had also recently approved a loan of $900 million for Jamshoro coal power project to produce cheaper electricity. Speaking on the occasion, Werner E. Liepach said the loan would support key reforms in the energy sector to ensure uninterrupted supply of cheaper and dependable power to millions of industrial and private consumers, who were presently adversely affected by long power outages. “This important energy sector assistance will propel growth, boost businesses, and create jobs that are critical to reduce poverty in the country,” said Liepach. In line with Pakistan's National Power Policy approved in 2013, the sustainable energy sector reform programme targets robust policy, capacity development and institutional strengthening action to reduce crippling power shortages that according to estimates, are costing the country about 2 per cent of its GDP growth every year. The ADB along with Japan and the World Bank have been working with the Pakistan government to formulate and implement a five-year plan targeting increased power supply, reduction of losses and boosting the efficiency of the power sector. The programme would support government's plans to rationalise tariffs and eliminate subsidies by 2016, except for low income customers. “The reforms will improve transparency and accountability, which will also go a long way in leveraging stronger private sector led investments in the power sector,” said Werner Liepach. The full programme, set to complete by June 2018, spans a total of $1.2 billion investment by the ADB, and for the first sub-programme, co-financing is expected from Japan with $49 million and the World Bank with $600 million. The ADB is the lead development partner in Pakistan's energy sector supporting a wide range of power sector development activities, including energy efficiency, transmission, distribution, cross-border natural gas pipelines, power generation, and renewable energy projects. The ADB, based in Manila, is dedicated to reducing poverty in Asia and the Pacific through inclusive economic growth, environmentally sustainable growth, and regional integration. Established in 1966, it is owned by 67 members – 48 from the region. In 2013, ADB assistance totalled $21 billion, including co-financing of $6.6 billion. WASHINGTON: The government will forfeit its right to rule if it fails to resolve the energy crisis, says Musadik Malik, Special Assistant to the Prime Minister on Energy. “It happened to the previous government and it will happen to this government too if we do not end the load-shedding,” he said. Addressing a seminar on Pakistan’s energy crisis at the Woodrow Wilson International Centre for Scholars, Washington, Secretary Water and Power Nargis Sethi emphasised the need for a multi-pronged approach to end this crisis. In a power-point presentation, Mr Malik said the government had developed a new approach, based on “meritocracy, transparency, automation and accountability” to overcome this crisis. “We will encourage competition by developing energy corridors and favourable tariffs for low cost energy sources, and by creating a key client management system,” he said. He identified load-shedding, theft, receivables and poor collection of revenues as the key distribution issues causing circular debt and compromising the viability of the power sector. Mr Malik said there’s considerable variance in load-shedding across feeders; ranging from as little as 3 hours a day to as much as 23 hours. “In addition to human suffering, the load-shedding is causing a loss of up to 3 pc of GDP each year; in 2013-14 this loss amounted to Rs 630 billion,” he said. Nearly all DISCOs had losses that were considerably higher than acceptable levels indicating that “theft is occurring across the board,” he said. The National Electric Power Regulatory Authority (NEPRA) in its annual report has blamed the Ministry for Water and Power for purposefully not supplying required amount of electricity to the consumers, hence deliberately resorting to load shedding. The report also found that TOU (Time of Use) electricity metres of 70 per cent consumers were outdated, which either loot the consumer or deprive the government from justified charges. The report said that TOU meters help the consumers to pay less while in other cases it makes them pay more than what they had actually consumed. The annual increase in circular debt of Pakistan’s power sector has come down from Rs 222 billion to just Rs 8 billion in the fiscal year 2015-16. It was revealed in the data graphics released by the International Monetary Fund (IMF) about the circular debt of Pakistan’s Power sector. According to the data, power sector losses paid out of the federal budget in Pakistan have come down from Rs 342 billion in fiscal year2012-13 and Rs 138 billion in fiscal year 2013-14 to zero since past two years fiscal years 2014-15 and 2015-16. Minister for Planning, Development and Reforms, Ahsan Iqbal on Monday said some 3,600 megawatt (MW) electricity would be added to the national grid by next month, which would help reduce energy shortfall in the country. Addressing a press conference here, he said total 10,000 MW electricity would be added to the grid by May 2018 bridging total gap in demand and supply. He said the Pakistan Muslim League-Nawaz (PML-N) government had made record investment in the energy sector. Such investment had not been seen in the sector for the last 15 years and production of only 16,000 megawatt electricity was made possible during 66 years. After completion of projects, uninterrupted power supply would be available, which would start a new of era of development in industry, agriculture and services sectors, he added. Responding to the criticism that the present government could not manage to overcome the energy crisis despite lapse of four years, the minister said energy projects took three to four years to complete. The projects initiated by the PML-N government were near completion and would soon start commercial operations, he added. He said since the PML-N government came into power, the economic indicators were on the upward trajectory. “Economic growth has gone up to over 5 per cent in 2016 from 3.7 per cent in 2013, inflation rate has come down and industrial growth rate is improving,” he added. He said the government was focusing on manufacturing high cost commodities instead of low cost ones, therefore, during last three years the export of former had increased. To a question, he said though the public debt had increased, yet the debt to GDP (gross domestic product) ratio decreased to 60.5 per cent in December 2016 against 62.4 per cent in December 2015. The minister said the opponents of China Pakistan Economic Corridor (CPEC) were trying to mislead the people that the project would increase the public debt and damage the local industry. In fact, it would help strengthen the country’s industrial sector, he added. “Huge number of employment opportunities will be created for the local people as Chinese industries are being shifted to Pakistan,”, he said, adding that the Pakistani industry would also become more competitive. He said due to the CPEC, Pakistan’s economy was now shifting from low cost agriculture industry to high value industrialization. Major development projects, which had been pending for decades, were now at the completion stage, he added. He said the government had completed the long awaited N-85 connecting Quetta with Gwadar. It would construct over 1,000 kilometer roads across the Balochistan province, he added. It was the current government that made the long awaited Diamir Bhasha Dam project a reality as its ground breaking was going to be held in a few months, he added. The households and small businesses that crowd the narrow lanes of Gazdarabad, Karachi, are used to blackouts. Until recently, residents here, as in many parts of Pakistan’s biggest city, suffered between eight and 10 hours a day without electricity. It has taken years for engineers from K-Electric, the local power company, to unpick the tangle of loose wires and illegal connections that were symptomatic of a city deprived of regular electricity for the past decade. Gazdarabad’s residents now have reliable, 24-hour power — but they are the lucky ones. Pakistan is facing an unprecedented power crunch, which has left households and businesses either in the dark or relying on back-up generators for large portions of the day. It poses a risk to economic growth as Pakistan becomes a more attractive place for foreign consumer businesses, which are enticed by its young and growing population and cautiously optimistic about improving security. Ehsan Malik, chief executive of the Pakistan Business Council, says the energy shortfall “is business’s biggest difficulty right now”. Electricity in Pakistan is both insufficient and expensive. Peak demand surpasses maximum generating capacity by 6 gigawatts — equivalent to about 12 medium-sized coal power plants. Pakistan plans to remedy this by building coal-fired power stations funded by more than $35bn in Chinese loans — part of the $50bn-plus China-Pakistan Economic Corridor scheme to improve Pakistan’s infrastructure. Several large power stations are under construction and the government says at least one will come online every month until next March, producing eight gigawatts of new capacity. These schemes are intended eventually to take advantage of the 175bn tonnes of coal reserves discovered at Thar, about 400km east of Karachi. The amount of fuel there puts Pakistan in the top 10 countries in coal reserves. “We are sitting on some of the largest coal reserves in the world but the government in the 1990s was completely focused on furnace oil,” says Syed Murad Ali Shah, chief minister of Sindh province. A concern is the financial risk. The falling cost of solar energy could render coal power plants useless, and energy suppliers complain the electricity tariffs set by authorities are too low for them to make a profit or attract new investment. Energy regulators have slashed the tariffs of a range of suppliers in the last year, causing three of them to slide from profits into losses. Since virtually all the electricity distribution companies are state owned, it is up to the government to fill the holes its policies have created.